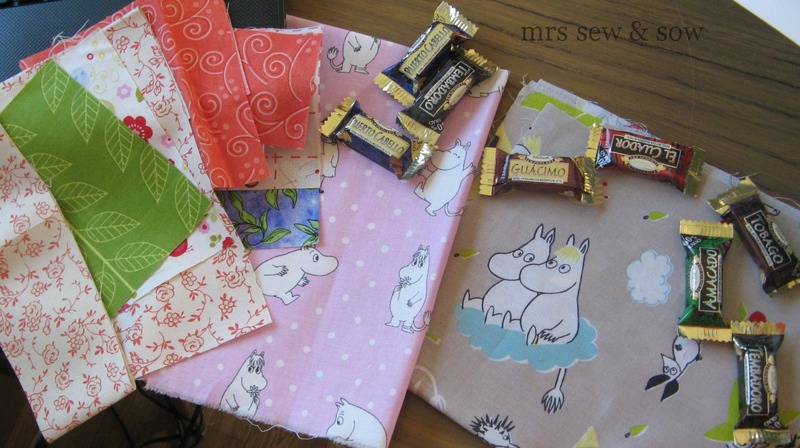 mrs sew & sow: Incoming! What a fabulous package! And May is a long way from Sussex, so you may have to wait until July to meet her. Moomin Mama is Gorgeous. I have almost finished my guest block for you for this bee. Did you wnat me to post it or bring it to London? I love the Moomins and May's block is terrific - this quilt is going to be wonderful! P.S. 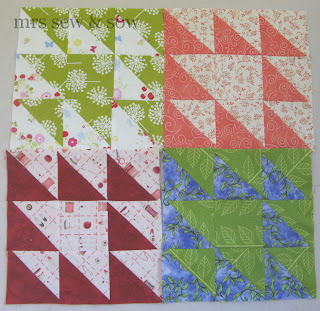 Obviously I love your Charmer blocks, too! 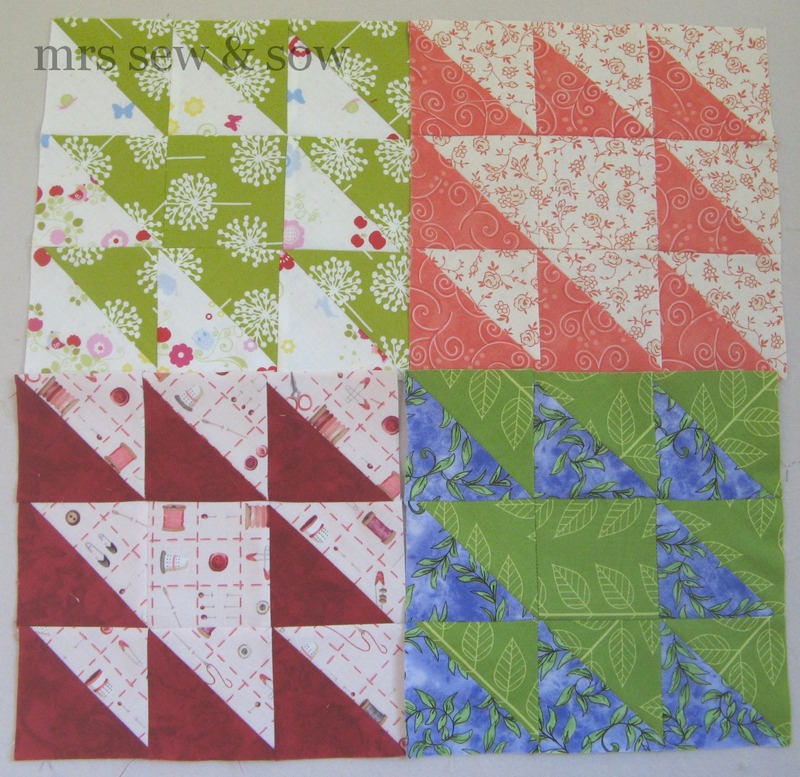 Lovely stuff - you are going to have a fab quilt. BTW, haven't forgotten about your block but still pondering! Only five more sleeps and we'll meet :-) Thanks for this post; I'm overwhelmed *blushing*. 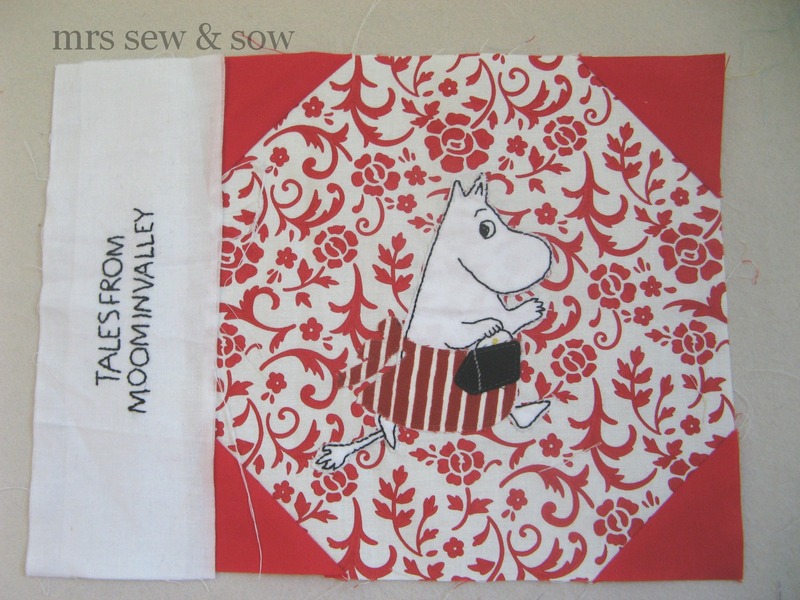 I love making Moomins and I know they will have a good home with you!